In the Babylonian colleges, title of the chief judge, third in rank below the gaon. As a special distinction it was granted to prominent non-Babylonian scholars, particularly to those of Palestine. 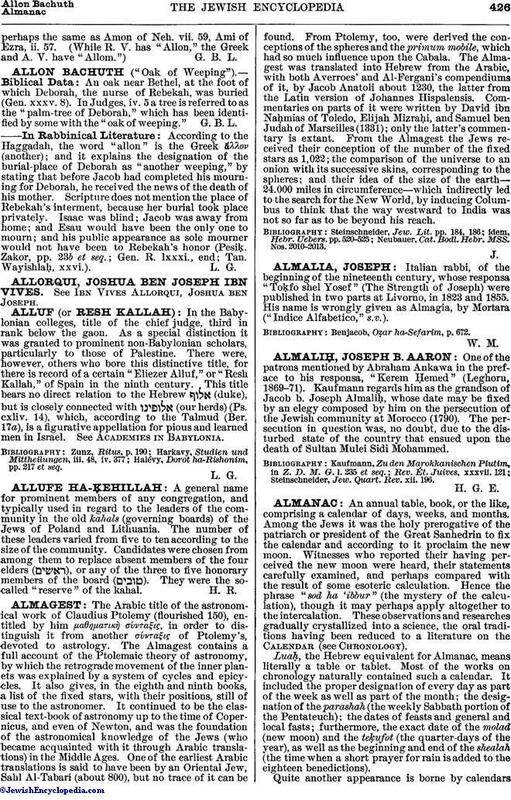 There were, however, others who bore this distinctive title, for there is record of a certain "Eliezer Alluf," or "Resh Kallah," of Spain in the ninth century. This title bears no direct relation to the Hebrew (duke), but is closely connected with (our herds) (Ps. cxliv. 14), which, according to the Talmud (Ber. 17a), is a figurative appellation for pious and learned men in Israel. See Academies in Babylonia. Halévy, Dorot ha-Rishonim, pp. 217 et seq.